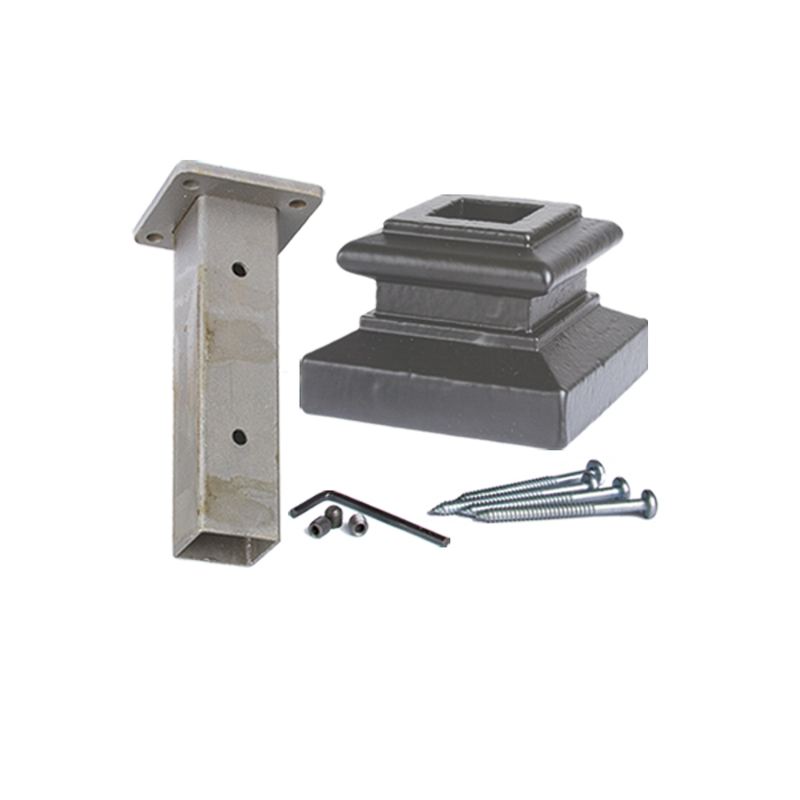 Use this mounting kit to mount your square newel to your stairway project. The 16.3.31 Iron Newel Mounting kit fits 1″ square newels. The mounting kit is 6 1/4″ long and 1 7/16″ wide. The flange is 3/16″ thick, and the base is 2 3/4″ wide. The opening in the base is 1 5/16″ wide. Cut a hole in your stair tread sub-flooring large enough to receive the collar of the mounting kit. Place the shoe on the iron newel, and then slide the newel into the mounting kit. Once you have it properly aligned you use the three large setscrews to hold it in place. The newel / mounting kit is put into the hole, and the four long screws are then fastened into your stairs / flooring. The shoe is lowered into place and held using epoxy. The 16.3.31 Iron Newel Mounting Kit is for the round iron balusters found in the Wentworth Series. – Cut a hole in your stair tread sub-flooring large enough to receive the collar of the mounting kit. 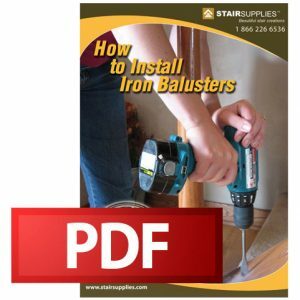 – Place the shoe on the iron newel, and then slide the newel into the mounting kit. – Once you have it properly aligned you use the three large setscrews to hold it in place. – The newel / mounting kit is put into the hole, and the four long screws are then fastened into your stairs / flooring. – The shoe is lowered into place and held using epoxy.